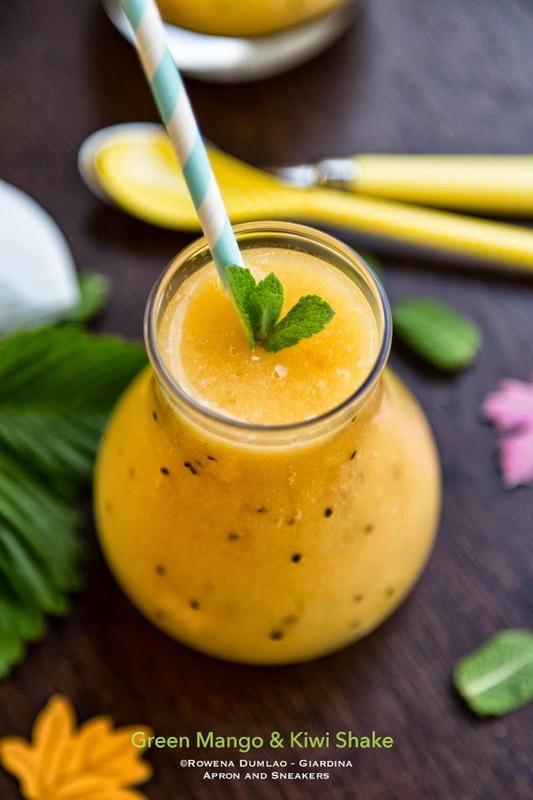 Apron and Sneakers - Cooking & Traveling in Italy and Beyond: Green Mango & Yellow Kiwi Shake, A Handshake to Natural Vitamin C! My son instead, went through his drawers last night after earnestly thinking that I need something to stay with me to ward off any bad dreams. 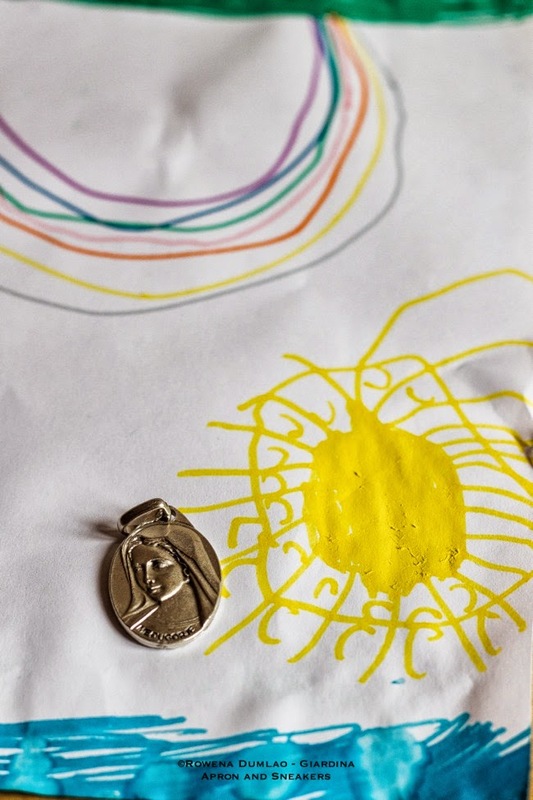 He gave me one of his small medals of the Virgin Mary. He told me to wear it but it was too big to put around my neck so we agreed on putting it safe in a little pouch in my bag. These things make my heart feel well and forget the little headaches that they give me. Because I had been preparing to leave for my trip, I also had to polish off the food that my husband and kids will most likely not touch. The last were a couple of green mangoes and a couple of yellow kiwis (I didn't know yellow ones exist!). Note: Green mangoes can be yellowish too. They are just referred to as green to indicate that they are unripe and sour. This is a very simple shake that I adapted from the classic Philippine Green Mango Shake. It is comprised of all natural ingredients - fruits, water, sugar and ice. 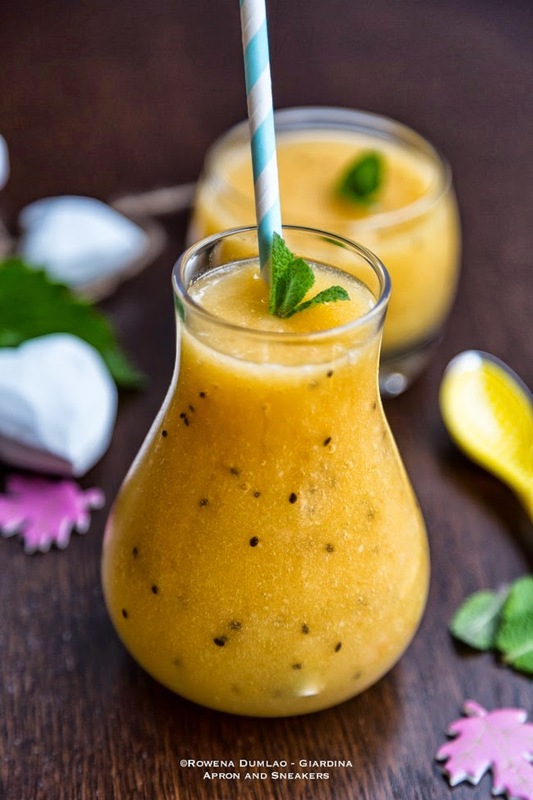 Kiwis and mangoes are important sources of natural Vitamin C. I remember my doctor who kept on ordering me to eat a lot of kiwis to get a big dose of Vitamin C and to forget about the ones that I buy at the pharmacy. Naturally, I got tired of eating them everyday. So this drink can help boost my interest in it. Even my son loves it so it's a handshake to keep it coming in my kitchen. I hope you have a wonderful week ahead of you. By this time tomorrow, I will be in Tbilisi, Georgia and hopefully, with a good weather, I can see the city, take in the sights and take photos which I will be sharing with you. I will be posting the Georgian pictures that I will be taking the whole period in Instagram, Twitter, Google+ and Facebook. 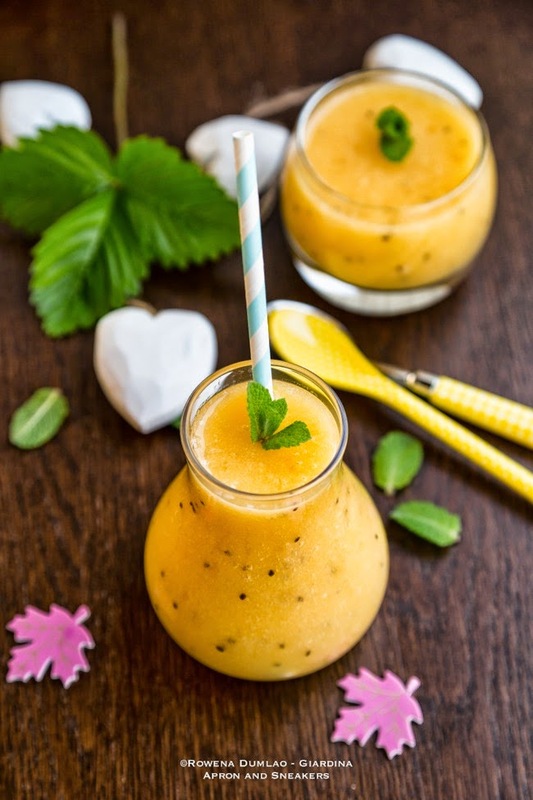 Meantime, enjoy this fruit shake! In a blender, pulse all the ingredients together until smooth.